Have you searched for an easy way for students to keep individual portfolios? Looking for a way to make student-led conferences easier? I have the app for you today! You can find it in the app store for FREE! The fact that this app is a free tool for teachers is simply amazing! You will set up a class account. When you do, you will decide if you want your students to add work to their portfolios using their own email address (intermediate students) or have them sign-in using a class QR code (suggested for primary students). I chose the QR code. A sign to post in my classroom containing our QR code was sent to me immediately after choosing this option. When students open the SeeSaw app, this is what it looks like. They simply choose "I'm a Student." Then they will be prompted to scan the class QR code. I printed four of the signs and posted them around our classroom for easy access. The great thing is, you don't need to add a QR reader to your ipads - this is built right into the app! After scanning the QR code, this screen pops up. Students simply select what it is they want to upload to their portfolio! I mean, just look at those options!! Seriously, let's take a look at each of them. PHOTO: If students select this option, the camera is on and ready for them to use. They simply snap a photo. But THEN, they have the option to draw over the photo, record a narration of the photo, add text to the photo, or rotate the photo. VIDEO: If students select this option, the video function automatically begins. 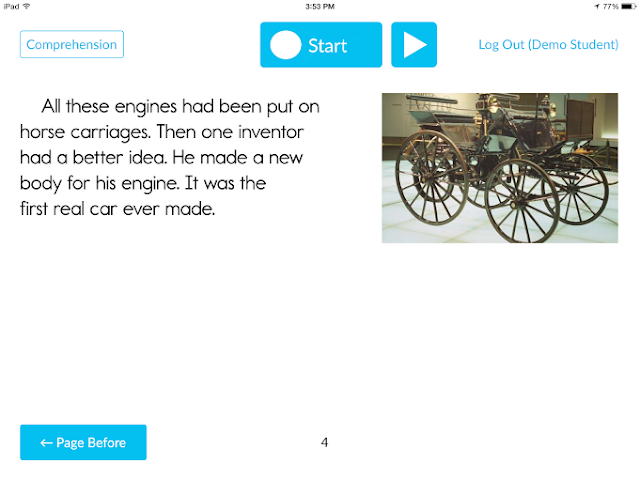 Students have the option to add text to the video once it is finished. DRAWING: If students select this option, a white screen with drawing tools pops up. They simply use their finger to draw on the screen. What a wonderful and quick way to assess understanding! How much do you love the fact that students can record a narration to explain their drawing?? NOTE: If students select this option, a notebook paper background pops up with the keyboard so they can take notes. LINK: The link option lets students paste a link they've previously copied to their clipboard to their portfolios. Speaking of adding their work to their portfolios, just HOW do they do that? When a student is ready to add one of the above options to their portfolio, they just click on that green plus circle to "add" the work to a portfolio. A list of students' names pops up and they select their own name. You can see that the work below was added to Madison's portfolio. 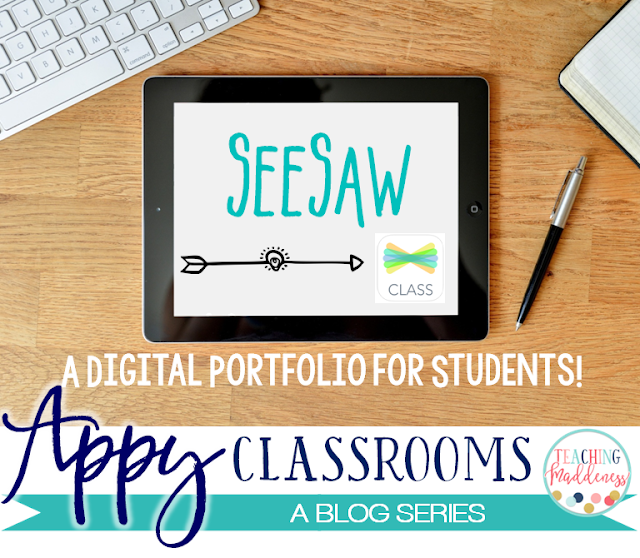 If you want to give parents access to students' portfolios, it's super easy! You can print out letters in your teacher account to send home with students. They will give parents step-by-step instructions (including a QR code to make it super easy) for signing on. Just print and send home. This is a look at SeeSaw from my teacher's account. You can see that it says I have "1 unapproved item." This means a student submitted work to their portfolio, but before being added it is pending my approval. I simply click on "unapproved items" and the work will appear on my ipad. I can click the green check to approve it or the red x to dismiss it. 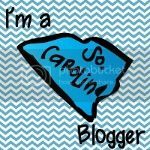 There's much more to SeeSaw if you're interested! Students can have folders for different subjects to make organizing their work in their portfolios a breeze. 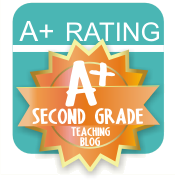 You can even set up a class seesaw blog where parents can see the work. I would suggest downloading this app and playing around with it to get comfortable. I'm positive that it will be a beneficial tool for you and your students! Join me again soon for more ways to create #appyclassrooms! Use this hashtag on Instagram when sharing apps so we can see how you are using apps in your classroom! 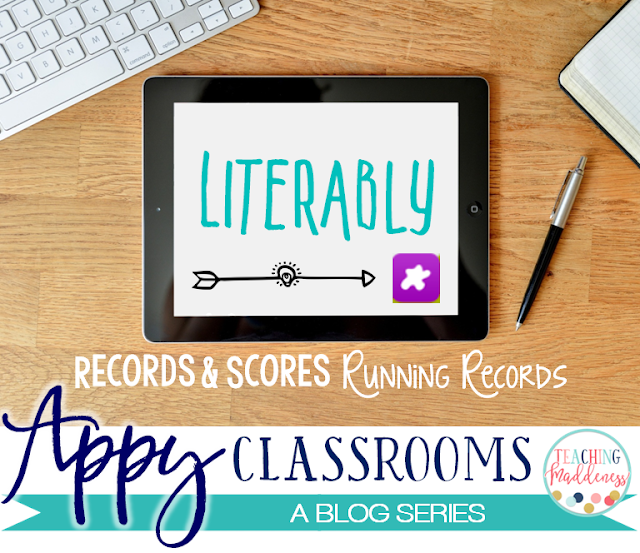 This app is "literably" the most amazing resource for running records EVER! Here's what you'll be looking for in the app store. It's FREE! This app is pretty much a teacher's dream when it comes to running records. It was designed to do ALL of the work for you so that you are not taken away from instructional time to benchmark! Can I get a hallelujah?! Simply enter your email. I used my school email. You'll want to use whatever email you want your students' results sent to. 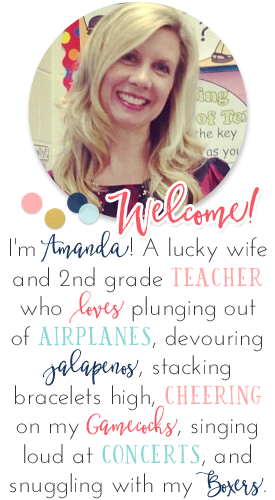 Then, you'll create a username - pick one that your students will remember. I used my last name and our room number. They will enter this when they login. Create a password that is just for you. Next, enter your students' names. I entered first names only. Easy peasy! It is important to note that the teacher dashboard can only be accessed online (not using the app). Here's a peek at my dashboard. You select the level (A to Z) to assess students on and then if you'd like to assess using a fiction or nonfiction text. Once students open the app, they will enter your username. Then student names will appear and they'll choose their own name. Then, a story will pop up for them to read. 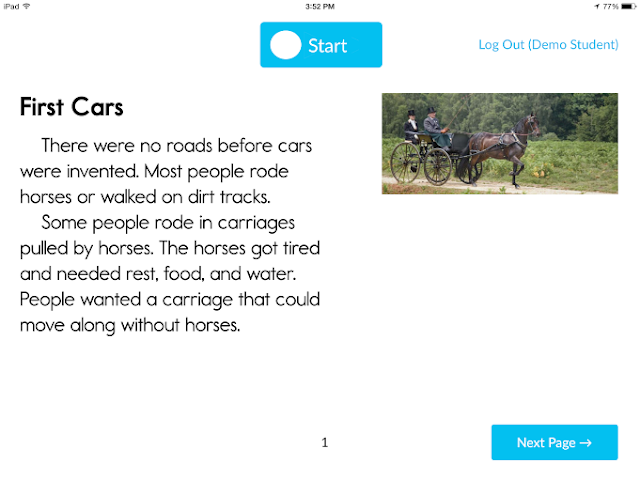 When students are ready to begin, they'll click the "start" button at the top. The app will record them reading it. The default is set to record for 1 minute (though, you can change this in your settings). After one minute, a pop-up will appear. Students will hit "continue" to keep reading the story in their heads. At the end of the text, students will click the "comprehension" button in the top left corner. Five comprehension questions will follow. 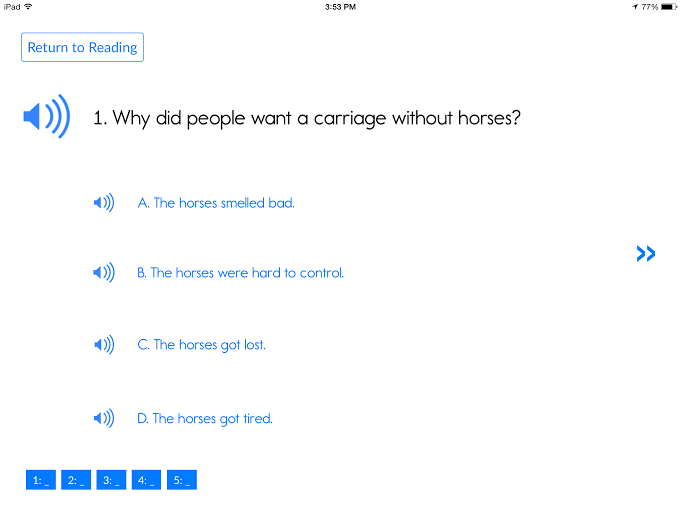 Students can click the speaker icons to have the questions and answers read to them. At the end of the five questions, a summary page will appear asking students to tell about the passage they just read. When ready, they will hit "record response" and again they are recorded speaking. At the end, they simply select "log out" to finish. Next, is when the REAL magic happens. Once scored (usually a couple of hours later), you will receive an email letting you know the student's record is ready. You can click on the link in the email or head back to the website to view your dashboard. What awaits is simply AMAZING! 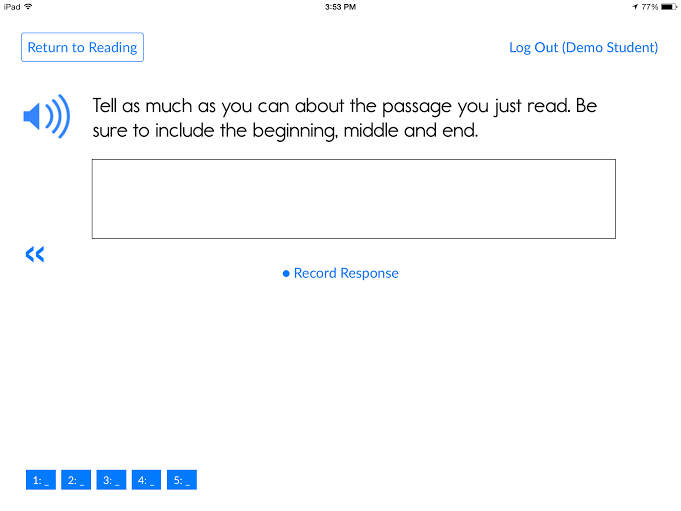 The app not only sends you the ACTUAL RECORDING of the student reading and summarizing the story so you can go back and listen to the reading, but it sends you the actual running record....COMPLETED! That's right, the text with all of the markups, the errors analyzed, the accuracy rate, the fluency rate, the self-corrections....everything. Done FOR you. Is that singing I hear?! The above record is one I did as a "demo student" to really test out the app. It was incredible. It marked the text up JUST as I read it. Absolutely amazing! While the app is free to download, you are limited to 10 students per month. If you want to test more than that, you need to inquire with them about pricing. Pricing depends on the number of students who will be using it and the frequency of which it will be used. However, with 10 FREE students per month, what an amazing resource to track those students who need it most! I hope you'll check out this app and let me know if you are as impressed as me! I'll be back soon with another app to make your classroom an #appyclassroom!